Having a vacancy at your rental property is something most landlords will have to deal with. 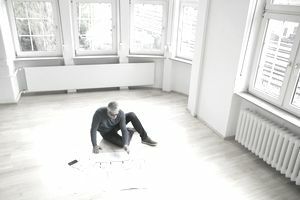 You may have a vacancy when you first put your property on the market, when a tenant’s lease expires, when a tenant breaks his or her lease, or when you have to file to evict a tenant. Understanding the bills you will still be responsible for even if a tenant is not living at the property will help you be financially prepared. Here are four landlord costs to hold a rental property vacant. When there is a vacancy at your rental property, there will still be certain costs that you will be responsible for paying even though there is no tenant currently occupying the unit. Since you will no longer be receiving a monthly rental payment to offset these costs, you will want to find a tenant as soon as possible. Here are four holding costs to consider. If you do not own your rental property outright, you will likely be responsible for making a monthly mortgage payment. You will be responsible for making this payment whether or not a tenant is living in the rental. The rent that the tenant pays can often help offset this payment. Factors such as the number of rental units you own and the amount of the mortgage payment will determine how much this vacancy will affect you. For example, if you own a single-family rental home with one tenant, having a vacancy will be a very stressful situation. However, if you own a six-family property which has a mortgage and you have one vacancy at the property, the vacancy may not be as stressful because you have five other units to help pay the mortgage. In addition to the monthly mortgage payment, you will still be responsible for paying the property taxes on your rental property with or without a tenant occupying the unit. Loss of rental income can make it harder to meet this obligation. If the utilities in the property are under your name, you will still be responsible for paying these. The bill will likely be quite low since no one is actually living in the unit. Hot water and electricity will not be used during the vacancy. If you are anticipating a long-term vacancy, you may want to consider having these utilities shut off to save yourself money. However, you should realize that there are certain risks involved. If the temperature drops and there is no heat or hot water on the property, you could risk burst pipes. You will still be responsible for paying any insurance you have on your rental property. This could include hazard insurance, flood insurance, and liability insurance. You may have additional costs to deal with before the actual vacancy even begins. These costs can occur if the vacancy at your unit was due to evicting a tenant or if the tenant otherwise owed you money, such as for causing damage to the unit. Eviction Costs: If the vacancy at your property occurs because you have to evict a tenant, you must factor in these additional costs. There will be court costs associated with the eviction, as well as costs to have a sheriff lock the tenant out of the unit. This cost will grow exponentially if you choose to hire an attorney to deal with the eviction proceedings. Depending on the circumstances, you may also have to factor in lost rent from nonpayment or money owed from damages to the unit or other breaches of the lease. Security Deposit: If you have collected a security deposit from your tenant, you may be able to offset certain costs with this deposit. You usually have to return a tenant’s security deposit at the end of their lease agreement. However, if the tenant broke their lease, stopped paying rent, or otherwise breached their lease agreement, you may be able to keep all or a portion of the tenant’s security deposit to cover these costs. The maximum amount you can collect from a tenant will vary based on your state’s laws, but usually will not be more than one or two months’ rent. Sometimes the amount of the security deposit will not be enough to cover the money the tenant owes. In this case, you can try to sue the tenant in small claims court, but even if you are awarded the judgment against the tenant, it can be very difficult to collect this money.